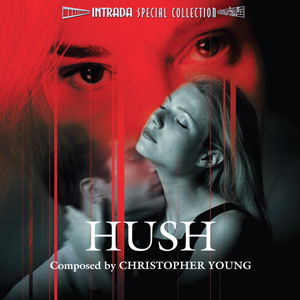 World premiere of dynamic Christopher Young score from Jonathan Darby thriller, released by TriStar Pictures, with Jessica Lange, Gwyneth Paltrow, Hal Holbrook. Young creates fascinating soundscape for orchestra & chorus by anchoring with very accessible themes, both in major, minor. Gentle lullaby opening sets tone, warm ideas follow. Then, when music reaches certain point, Young introduces scares, action, excitement. Unusual for soundtrack albums, composer has presented his music in carefully assembled fashion, building lengthy cues with incredible cohesion, musical architecture. Terrific listening experience is result! Cue titles remind listener of lullaby origins. 5/5 This one is a classic and must be owned if you are a fan, which I am... Intrada does it again! !